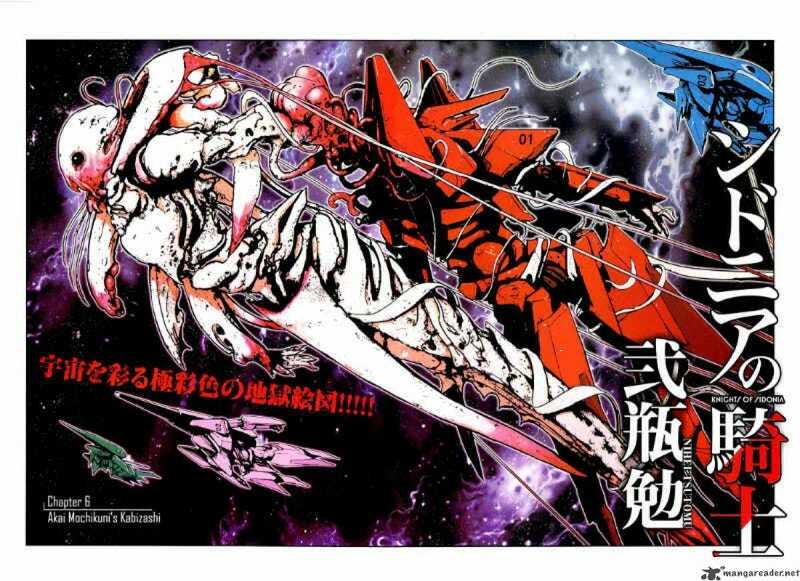 Ahead of the Knights of Sidonia anime, I decided to try out the manga to see what exactly it was all about. Knights inhabits the same post-apocalyptic genre that Attack on Titan and Muv-Luv do. As such, I was pretty much ready to dislike this one due to the Muv-Luv effect. First things first, I'll be upfront that this is the first manga that I've been reading on a consistent basis (I read Daily Life with a Monster Girl when I'm really bored) since I've come back to my Otaku roots and it's my seventh overall. It's always a challenge to get myself in the proper mindset to read these things, but I do try. I'm currently at chapter 16 out of 57. Knights of Sidonia is about the population of Sidonia, a space-faring refugee ship, a thousand years after they fled from Earth. It, like many other ships, launched in order to save humanity from the Gauna, which were poised to destroy Earth. Since then, Sidonia and its fellow ships kept in contact and dodged Gauna whenever possible, though the final communication with another human ship was hundreds of years ago. The simplest explanation is that Sidonia is the final bastion of humanity. Our story follows the life of Nagate Tanikaze, a normal human that was raised in the depths of Sidonia, far away from the main population of Sidonia. One day, he finds himself on the "surface" and is eventually drafted into the life of a "Guardian": a protector of Sidonia using mecha. Generally speaking, it's a familiar setting to... err... anyone that's seen Attack on Titan or Muv-Luv. Humanity is screwed, there's a group of people that protect what's left of it at insane odds, and death is the main serving of this banquet. I'm going to start off with what I don't like first actually, since the bad news first is a good way to do this. For everything it does explain, the manga leaves a bit to be desired when it comes to explaining the simple stuff. What exactly is a "clasp" formation? Why is it important? Why do I care? You can take stabs at this and get pretty close, but it's not explicit. PVs in the anime have pretty much answered this for me though. This gif is probably what a clasp formation is. Jury is still out on why it is important though. The pacing can also be a bit off. I feel like we might have taken the "falling into the cockpit" trope a little too far with this one. One minute Nagate is running because he stole rice and the next minute he's a giant mecha pilot. This can be explained away of course, but it was still rather fast. I will concede that the pacing has evened out with the successive chapters. My last major gripe is with the art design. I understand now why the anime looks so faceless: because that's how the manga is. I'm not going to knock drawing ability here, because that's relatively good in the battle scenes, it's the perplexing choice to make the characters have little-to-no facial features and ludicrously similar hair styles that's the problem. I've found myself questioning who the hell is currently talking because I haven't really gotten attached enough to understand exactly what every character looks like. Here's where this gets interesting. Knights of Sidonia is good because it takes after Muv-Luv: it understands what consequences are. Attack on Titan backed itself into a corner by giving the majority of the cast plot armor and forgetting that there are consequences for everything. That's one of the biggest problems I came to have with both the AoT anime and manga. 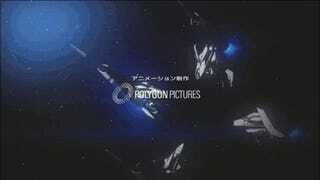 In Knights of Sidonia, people die. When the ship has to take an emergency acceleration that will cause many Gs of force inside the ship (physics cred +1), people will die. When people attack the Gauna, people will die. When you're an idiot, you'll get people killed. That ends up being basically all you need if you're looking to pick this up. It's what Attack on Titan would be if it had a concept of tension. Not to say that it doesn't, but AoT has proven very unwilling to kill anyone but extras and supporting characters off. We can't deny that. Knights of Sidonia really doesn't seem to care nearly that much. I can't say that I'm sure that several of these main characters are "safe" from death beyond the protagonist himself. It also helps that the world of Sidonia is jam packed with weird future-tech nuttery. I'm talking funky stuff like cloning, controlled evolution, humans that can photosynthesize (queue excuse for fanservice), and other futuristic nuttery that doesn't seem too far off the mark. It's far and away more interesting than it should be. I mean, one of the main characters is a member of a third gender (say what now?) that can change genders at will (ehhhhh?). Oh, right, that character also happens to change her gender to female because she likes this male protagonist. This is the best kind of crazy. It's more interesting than it really has any right to be. Its pacing can be a drag on occasion and the art doesn't really match the story all that well, but it's backed by a good world and a good story. That's basically all you'll need at the end of the day. In my opinion, this is better than Attack on Titan by a fairly good margin. It manages to navigate a similar (but still different) story while managing to do a lot of things Titan did wrong, right. It's a good manga for anyone that wants a post-apocalyptic story crammed with odd, but entertaining worldbuilding and a very dark story with political underpinnings and a dark tale of the final bastion of humanity in its last stand. It's very much a space opera and it is better for it. A good read so far. Oh, and stay away from this children. It gets a little weird. All images come from Mangareader.net (except the gif) and I don't claim any of them as my own, because that would be a bad idea.